Hey Everyone! I’ve got a fun new wintery tutorial to keep you warm! 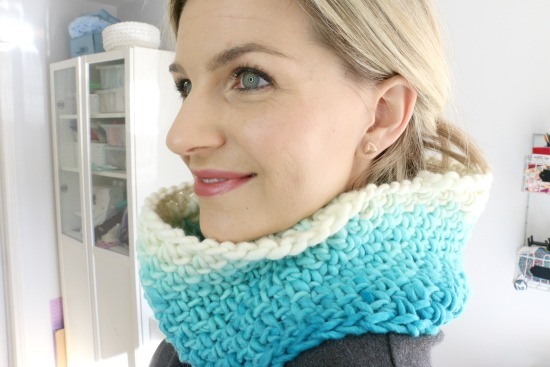 This easy cowl neck scarf! I have been dying to use this yarn and excited to finally see the project come to life, rather than in my head! I just love the way it turned out. For this scarf I used this yarn from Freia Fibers in the color Ice Queen. It is the super bulky, 5.3 oz, 87 yards and I used 1 skein for the cowl. I am so impressed with this yarn, it’s just gorgeous! 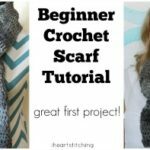 I designed this scarf, so that it is easy to modify depending on the size you would like to make, and the yarn you want to use! sc in the next foundation chain, ch 1 (skip a foundation chain) and sc in the next ch. Repeat. when you reach the beginning, you continue in a spiral. Be sure to sc in the chain 1 spaces. 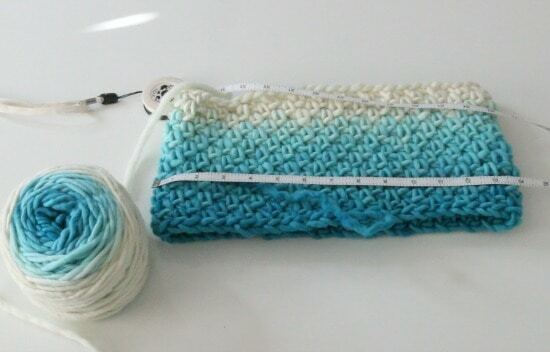 Continue stitching until you reach the desired size, I used the entire skein and it was about 7 inches. 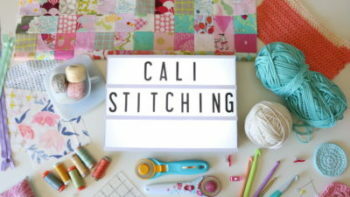 I am going to Stitches in IL this August. 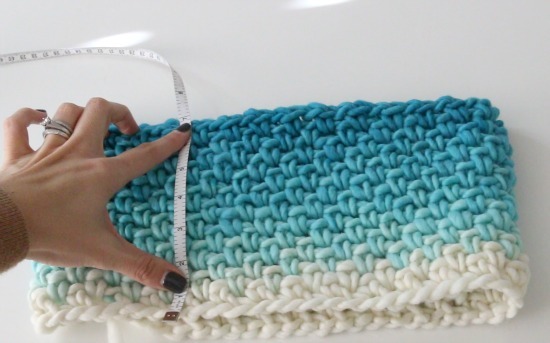 Will have to make to buy some Ombre yarn to try this. It looks beautiful and easy to make. I knitted something like this already but looking forward to crochet it. 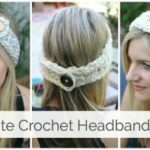 I never got the pattern for the beanie. Said it was in a PDF but there wasn’t one showing on the email. Thanks Melanie! My first completed crochet project. Easy and super fun. Loved the tutorial. Inspired to try out more projects. !Thank you! I used your recommended yarn – and fought it as it seemed to twist so much more than some other yarns I have used. Any suggestions? I love this project. I have yarn that is worsted 4 estambre can I still use it? 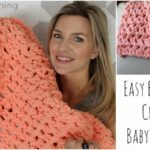 I’m new to crocheting but looks like I can do it. I love this cowl !!!! 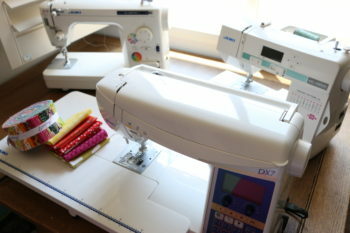 I am making one now and it look wonderful tnk you. 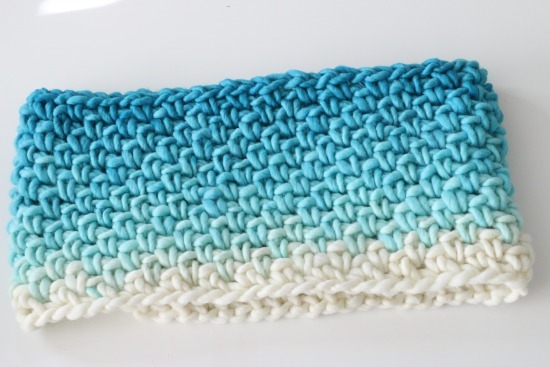 Love this cowl, and the color is just gorgeous. I want to try and make it for myself!! Thanks for another great project, Melanie ! 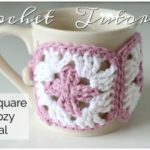 I love the look of the single crochet, chain 1, single crochet in the spaces…I have been trying to figure out a stitch to use for a new project & I think this might be it. Thank you! (I am sure I will make the cowl, too ;)) Also, the yarn is beautiful!